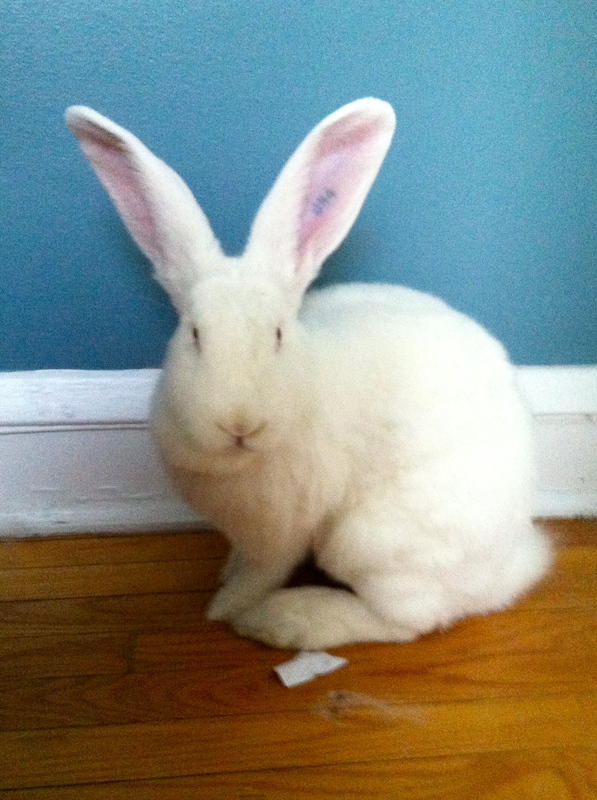 "Spirit is a 10 month old Flemish Giant rabbit, and he was adopted with the assistance of The House Rabbit Society of Chicago. Spirit is very friendly, and he loves to be petted and brushed. He can often be found lounging under the window in his bedroom and cuddling with his sleeping bag.